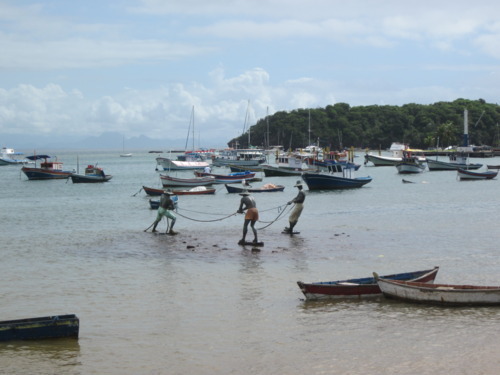 Buzios, dubbed as “the hamptons of Brasil”, “St Tropez of Brazil’, or the ‘playground of the rich’ is a small, charming fishing village filled with cute boutiques, great restaurants and incredible nightlife 3 hours from Rio. Getting there: Rent a car OR take the bus… Bus is really easy, clean, only takes about 2.5 hours and costs $25. 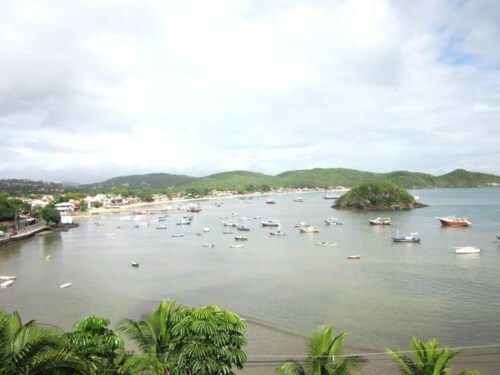 Búzios is a peninsula of mountains with beaches between almost every one of them. The west coast beaches are calm, beautiful clear waters (great for swimming and relaxing) while the east coast beaches face the open sea, better for surfing/water sports (I will cover these in a future post). The beach pictured above is Ossos, a secluded tiny beach that you have to ‘hike’ down to: yes below is the ‘trail’ to the beach… it’s a little muddy but totally worth it when you make it to the bottom! 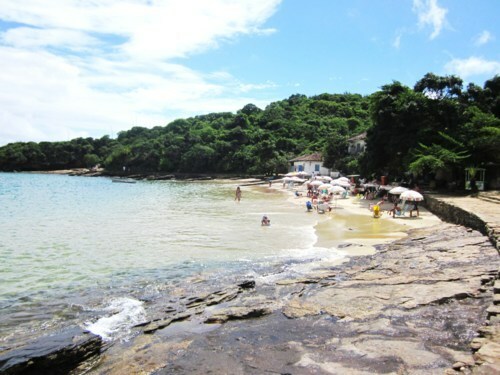 You can climb along the rocks, have a drink and relax, then head to the next beautiful beach, Azedinha Azeda (pictured below). Another small secluded beach with an amazing view! Other popular beaches on the west coast include: Joao Fernandes, Brava, and Tartaruga. 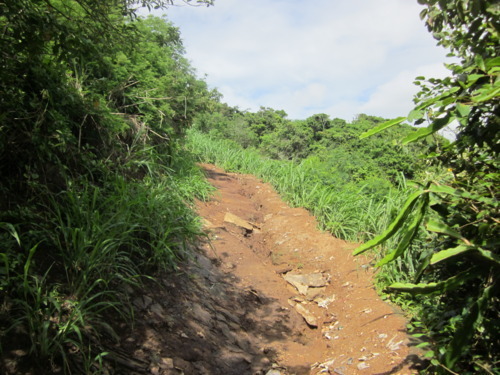 If you don’t feel like walking/hiking around to the different beaches there are several other options: 1. Water taxi (little power boats) that will take you to whatever beach you want to visit on the west side. 2. Rent a ‘buggy’, warning they are stick shift only, so if you can’t drive a stick…you can’t drive a buggy! 3. Catamaran (will cover in a future post). 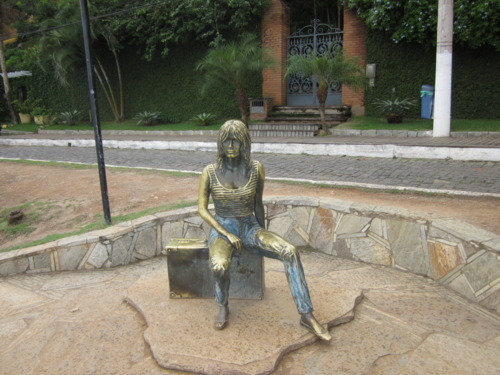 One the most well known sights of Buzios: the bronze statues of the Three Fisherman of Buzios. Always hard at work these fisherman are a reminder of the fishing roots of this once rustic village. In the evening the water will reach up to their knees! 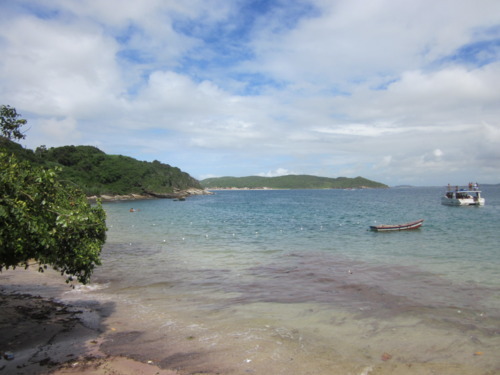 More on Buzios to come!